Every year when Father’s Day rolls around, there are two gifts that are almost always sure to make dad giddy with excitement: power tools and whiskey. Chances are your pop has a garage full of wrenches, saws and drills that are well worn and as trusty as ever. Power tools: Check. Time to consider the whiskey. Whether you’re looking for a gift that’s fit for a fancy party or one he can use every day, these products made from both the tasty liquid itself and reclaimed barrels from its aging process are sure to get more wound up than his purring lawnmower. This article originally appeared in Liquor.com. Lip balm has certainly never been accused of being dadly, but this silky smooth option made from Islay whisky could be an exception. 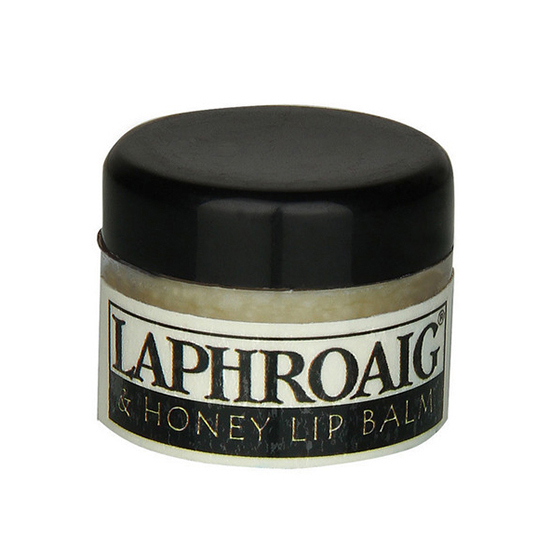 The balm is crafted from Laphroaig by a chemist and contains just a hint of peated aroma—just what your pop’s chapped lips need. Buy it here. Does your dad make a habit of sipping bourbon and looking dapper? 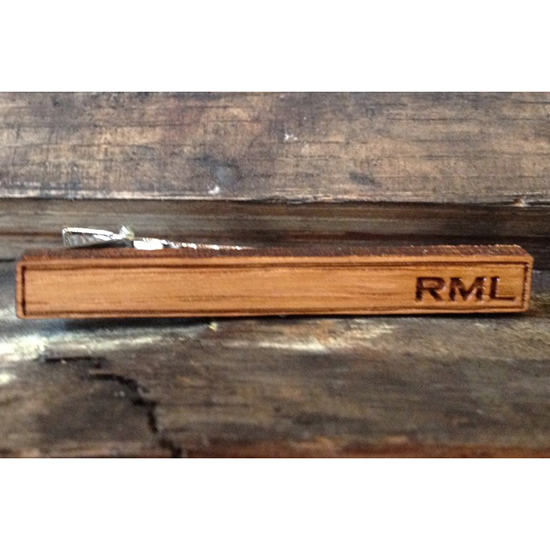 This monogrammed tie clip is made from the wood of a reclaimed bourbon barrel and will complement any suit or blazer. Want to make this gift even better? Pair it with matching cufflinks ($17). Buy it here. If suit accoutrements aren’t your dad’s cup of tea, perhaps he’d prefer to sip his whiskey while sitting on a bench made from discarded bourbon barrels. 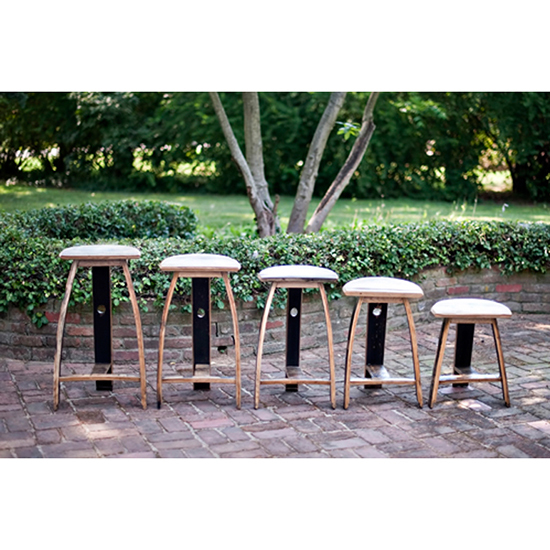 These benches come in five sizes and can even be made custom to pair perfectly with your pop’s home bar. The maker, Jason Cohen Wood Artisans, even has a variety of other products made from old whiskey barrels. Buy it here. Does your father fancy himself a Scotch whiz? This hands-on gift is both educational and delicious. It comes with sample-size bottles of 10 different kinds of whisky, as well as equipment to precisely measure the blend. 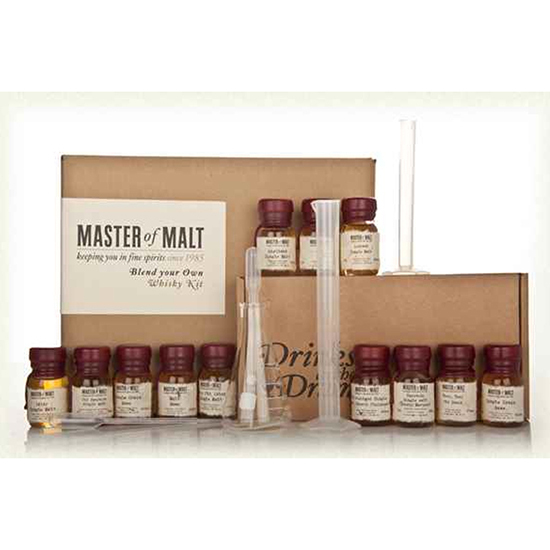 Once your pop is done making the sample of his very own blended whisky and is happy with the outcome, he can even order a full bottle of it on Master of Malt’s website. Buy it here. While just about any gift that’s either do-it-yourself or made from recycled barrels will make dad happy, it’s hard to go wrong with a simple bottle. 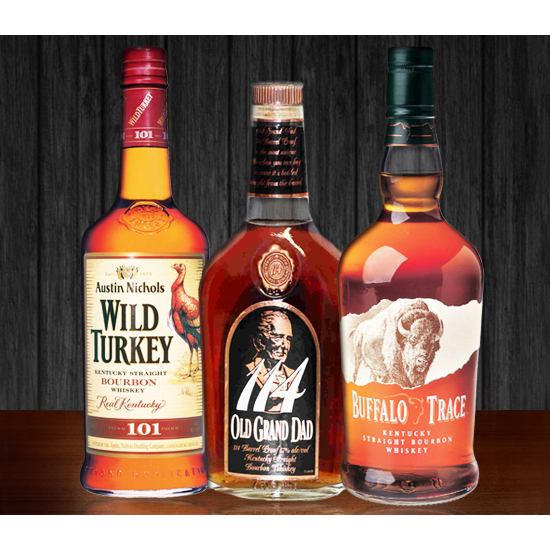 Whether he’s a fan of Scotch, bourbon or lesser appreciated whiskies like Canadian ryes or Japanese single malts, he’ll no doubt enjoy a day of sipping a hearty glass of the stuff with his kids.